Sundays are such a weird day. It is still the weekend yet we are dreading the next day! Instead of worrying about the week ahead of you, just focus on having a free day to do whatever you want. My Sundays are usually relaxing, productive and fun! 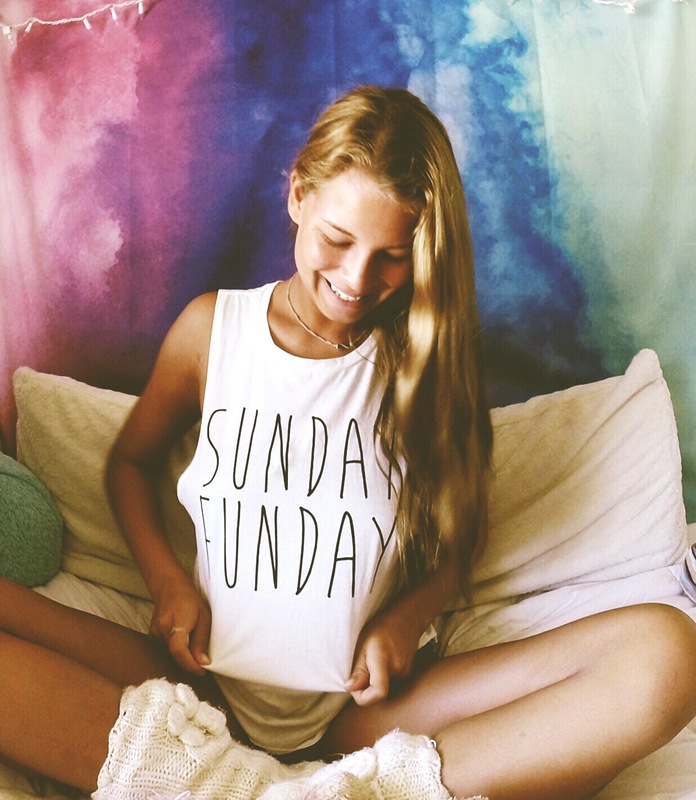 Here are some ways to make your Sundays Fundays! Sundays are a great day for cleaning! During the week we either have school or work and cleaning is the last thing you want to do. So save these for your Sundays, it is always nice coming home during the week to a clean place! Get some work done. Wether it’s school work or work work, try to get something done. Getting some work done ahead of time makes Sundays less stressful. Try to knock out the unfun stuff early in the day, so you have the rest of Sunday to relax! Which leads me to relaxing! Sundays should not be stressful, they should be fun! It is still the weekend! 🙂 My go to is netflix! I loveeee me some netflix, and I have watched a ton of showssss, to name a few: The Originals, Gossip Girl, Revenge, Pretty Little Liars, Vampire Diaries, Greys Anatomy, New Girl, Orange is the New Black, the list goes on. I am a netflix freak, as are a lot of us. So use today to catch up on some shows and relax! Don’t let the start of the week drag you down! Let’s make Sundays Fundays! Love the tshirt in the photo! Thank you so much! Thats so kind of you, im glad you enjoy my blog!